What's the easiest thing to optimize on your site? 00:50 – Notice better rankings for your image results? There’s no point in just putting the keyword over and over again. [Click To Tweet]. The images that are original get more traction because they offer more value. [Click To Tweet]. 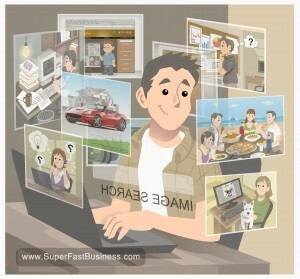 Probably one of the easiest things to optimize on your website are images. The best sort of images to choose are original images that have never been put on the Internet before. Make sure that the image is named appropriately according to what the image is. There’s no point in just putting the keyword over and over again, that’s called stuffing, and it’s very bad. The images that are original get more traction because they offer more value. So things that come out of your iPhone camera, things that you have an illustrated design customed for you will be better than just using the cheezy stock photos. Now when you put the images on the site and you name them correctly, you can also put an alternative text so that when people hover over them, it has the appropriate name, it helps people who have trouble hearing and they can see. You might find your image results are really getting good rankings because people do image searches so that’s why it’s important to have their exact name for it. When people share your content, if your content has an image in the post, then it will actually look for the image and pull the image into something like a Facebook post. Of course you can take advantage of Pinterest where you might find you get good traffic if your images are really good. A good standard would be to have one image per post or page on your website. If you have an ecommerce store or you sell a product, be sure to put lots and lots of images because that’s what people going online are looking for, especially how people use whatever it is that you sell.